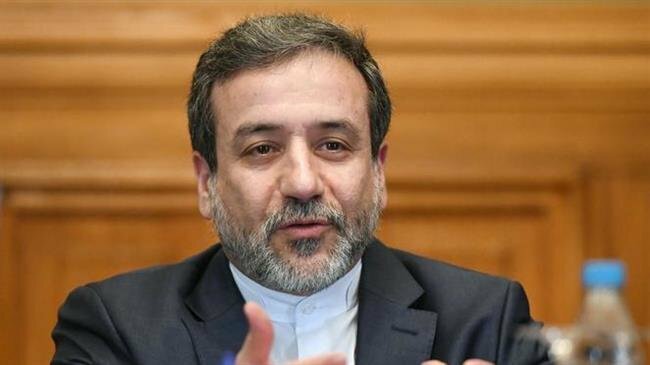 An Iranian deputy foreign minister has commended the political stances of the European Union in supporting the country in face of US sanctions, but criticized the rate of the bloc’s progress towards the enactment of mechanisms to keep a nuclear deal with the Islamic Republic alive. He was speaking in response to a question about a decision made by the EU to set up a ‘special-purpose vehicle’ (SPV) to bypass the US sanctions, the Iranian news agency the Young Journalists Club reported on Friday. “It is a fact that the Europeans moved much slower than we expected” in the direction of introducing the system, Araqchi said. Europe possessed an ”obvious and clear” political will to help the Islamic Republic in the face of the sanctions, the official noted. He called it “unprecedented” for the continent to support a country, especially Iran, in face of US sanctions. As an instance of the European will, he cited a move by British, French, and German foreign and finance ministers to sign a joint statement with the European Union’s foreign policy chief Federica Mogherini last week, in which they pledged to work together to create the SPV. France, Germany, the United Kingdom, and the European Union have jointly condemned the fresh US sanctions on Iran. “Expert work is still underway,” the deputy foreign minister noted, and said that there were many legal complications and aspects to the evolution of such a system. At the same time, a similar mechanism had to be established inside Iran to be able to interact with the European one, he noted. The European parties to the nuclear deal comprised the US, the UK, France, Russia, China and Germany. The US withdrew in May and announced on Monday that it had restored all the sanctions against Iran that had been lifted under the accord. Separately, he remarked on recent comments by US Secretary of State Mike Pompeo, in which he had alleged that Iran would not restore its nuclear work to levels that existed before the implementation of the nuclear deal. Araqchi said if Pompeo was certain that Iran would not go back, it was probably because the US still knew that the nuclear agreement was still to the Islamic Republic’s benefit. The Iranian official, however, emphasized that Iran’s nuclear energy program had never stopped, adding that it was going on “forcefully.” He further stressed that the country had slowed down the progress of its nuclear energy activities in some areas. Tehran was now in a better position to restore the pace of the activities, and even give them a faster pace, but doing so would depend on what suited the country’s interests, Araqchi said. “We do not fall for Pompeo and his likeminded people’s provocations. The Islamic Republic has so far moved on very smartly and wisely, avoiding emotionally-charged actions,” Araqchi concluded.